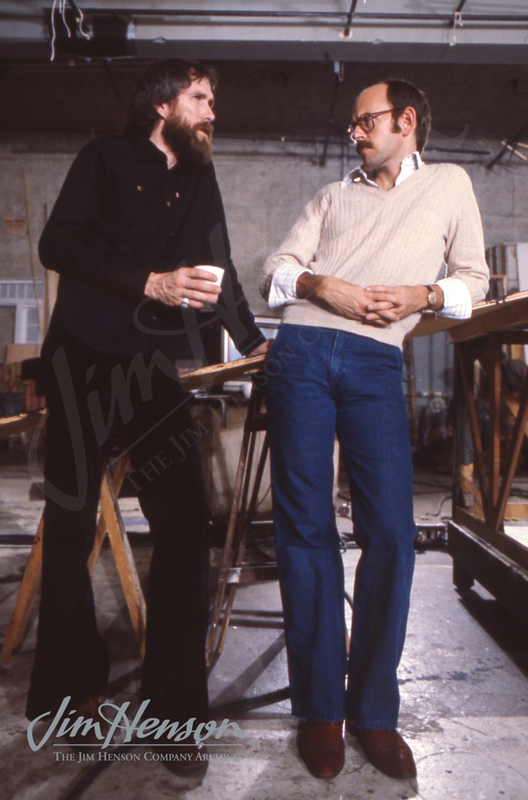 Jim spent the start of 1980 assembling the team for The Great Muppet Caper and The Dark Crystal. He identified the cinematographer he wanted to work with on both films, Ossie Morris, right at the beginning of the year. That summer, he met Ralph Kemplen and knew he had found his editor. Kemplen, based in England, was renowned for his editing work on more than fifty films going back to the 1930s, several with director John Huston including The African Queen. His father had made silent films which he showed at fairgrounds and introduced his son to the craft. Like Morris, Kemplen was much in demand by American directors, and Kemplen and Morris had worked together previously on the award-winning films The Odessa File, Goodbye Mr. Chips, Oliver! and Moulin Rouge. Given that Jim saw The Dark Crystal as a major breakthrough and knew it would be a complicated shoot, he was eager to have collaborators in place that had already learned to work together. By making two picture deals with both Morris and Kemplen, Jim was able to use Caper as a chance for them to get to know his performers and production people and for the whole group to find a collaborative rhythm. Jim was not disappointed and enjoyed working with both men. And for Kemplen, Jim’s films represented the capping off of an illustrious career – he retired after finishing The Dark Crystal. Learn more about cinematographer Ossie Morris. Dark Crystal co-directors Jim Henson and Frank Oz were supported by industry veterans when making their film. This entry was posted in 07-July '80, 1980, Dark Crystal, Great Muppet Caper and tagged Ossie Morris, Ralph Kemplen. Bookmark the permalink.